You awaken to find yourself in an unfamiliar village with no memory of who you are or how you arrived. 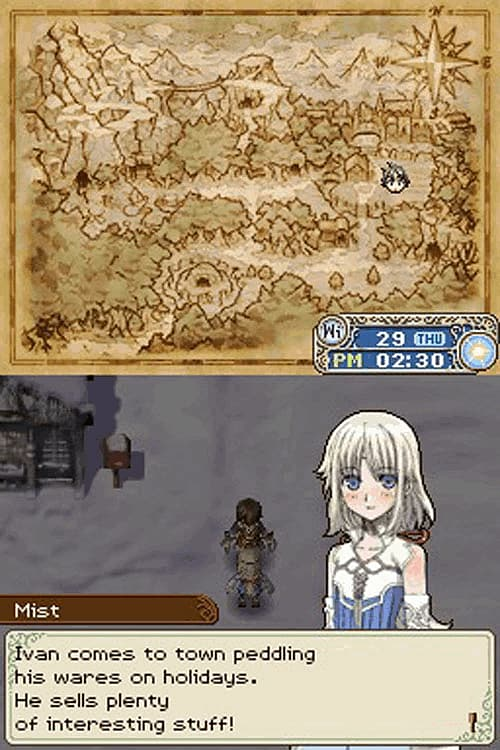 Mist, a beautiful young woman comes to your aid and helps you start to build a life for yourself... on a farm. 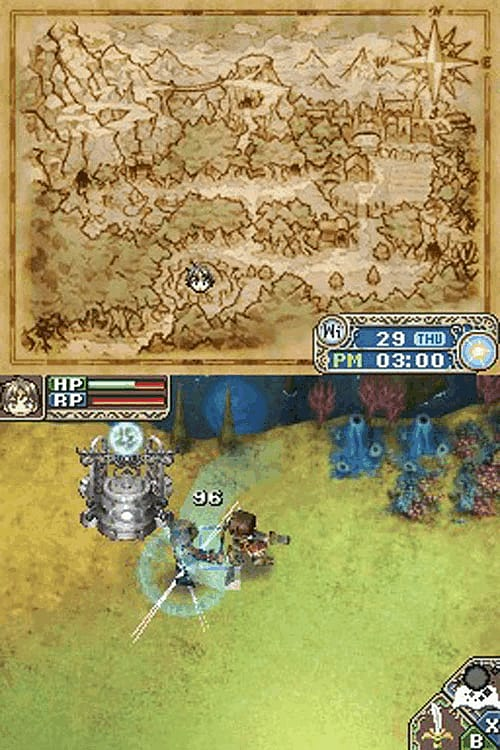 Befriend monsters: Making monsters your friends in Rune Factory: A Fantasy Harvest Moon will help you on your farm! 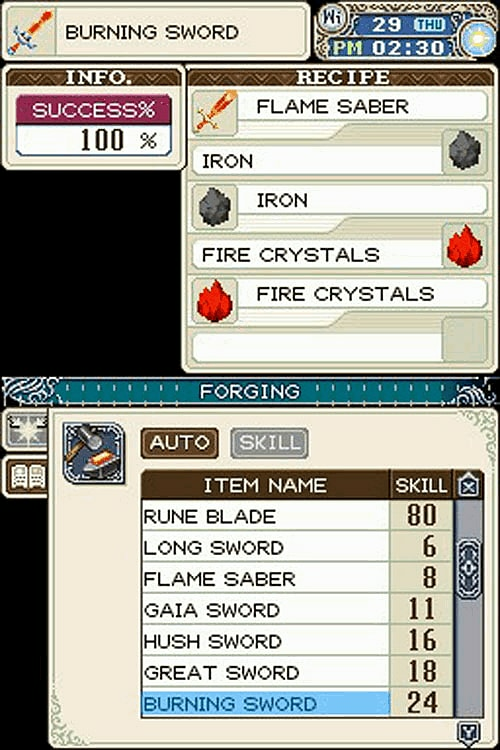 Upgrade your Rune Factory skills: Master swords, spears and farm tools! 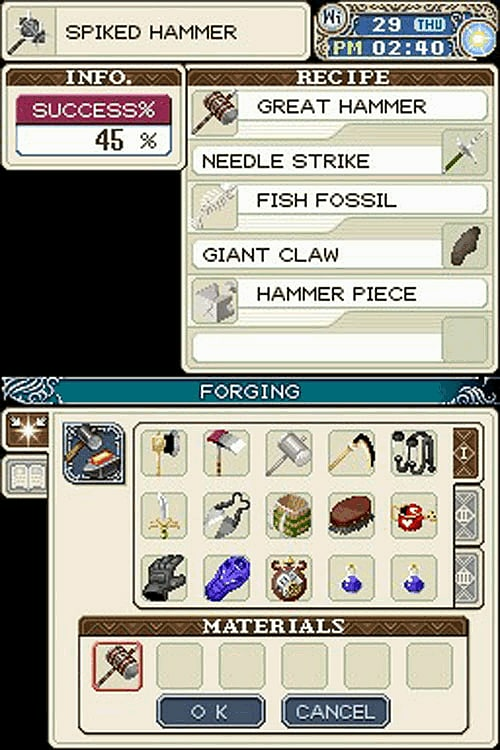 Communicate and exchange items: Rune Factory: A Fantasy Harvest Moon uses Nintendo Wi-Fi Connection! Merry Moon! : Grow crops, make friends and fall in love!